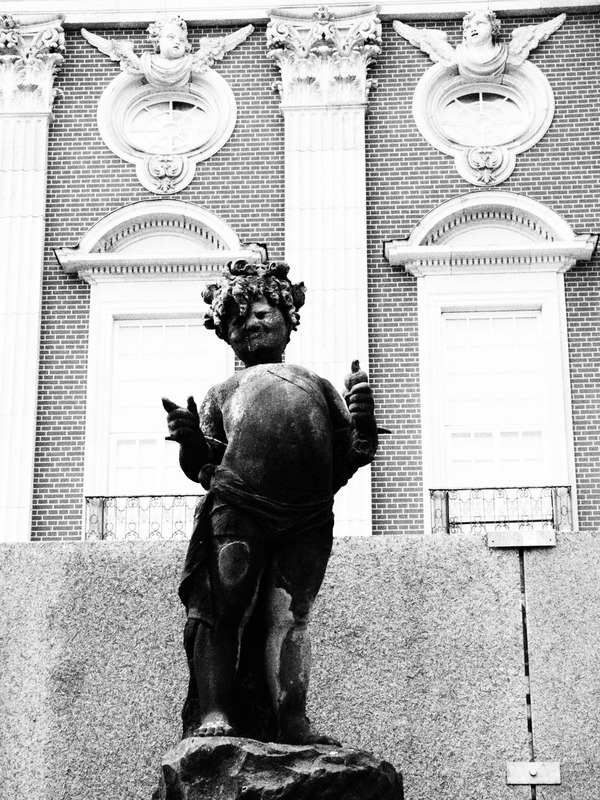 Potsdam: A quirky day trip from Berlin. 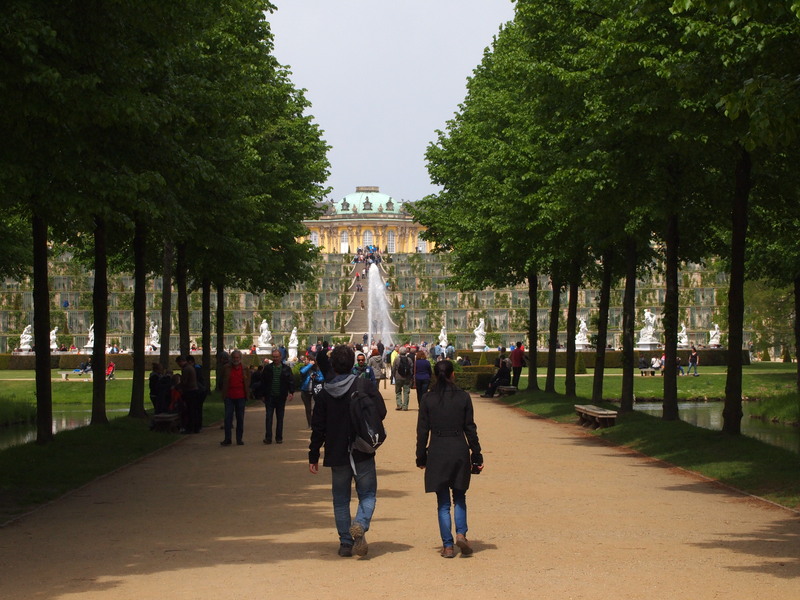 Potsdam is a great day trip from the city bustle and just forty minutes from Berlin on the S-Bahn. Listed as a UNESCO World Heritage site in 1990, the greater area of Potsdam is home to dozens of buildings surrounded by vast green spaces and gardens. The official palace grounds covers more than half the city and is used by most locals as a network of bike paths connecting the university and town centre. A quirky experience rather than beautiful; the gardens are noticeably unkempt with wild flowers growing between long, wispy fields of grass that no visitor seems brave enough to frolic in, and purpose-planted tulips in garden beds that have long lost their expiry date. The exterior of almost all of the buildings are in a state of somewhat decay – peeling paint, botched-faux restoration and broken crumbled heaps of concrete – that can no longer be blamed on post war turmoil. With funding from the Foundation for Prussian Palaces and Gardens in Berlin-Brandenburg and UNESCO, it is clear the money has been put into the core prize alone: Sanssouci Palace. The lavish Rococo hallway connecting Frederick’s private and public quarters. Summer home to Frederick the Great between 1747 and 1786 the eccentric, Rococo style gives Sanssouci a feel of the theatrics; a King’s obsession and suppression. Despite its whimsical title of carefree, the abstract and ornate nature of the Rococo style, like Fredrick proves the palace is more complex than carefree and far more French than German. Weighted down with Frederick’s connection to nature, growth and wine, each room from the modest central entrance hallway to Frederick’s private quarters and the guest rooms is covered with cupid-like fairy-tale figures, vine leaves and heavy tributes to French poetry, literature and philosophy. Depicting the King’s flamboyance, the humble in size palace with it’s extravagant gardens fit for growing grapes and fruit was functional for lavish Francophile dinner parties where the King would invite special guests such as Voltaire to discuss culture, society and nature. One of the many green spaces and gardens in the Potsdam Palace grounds. 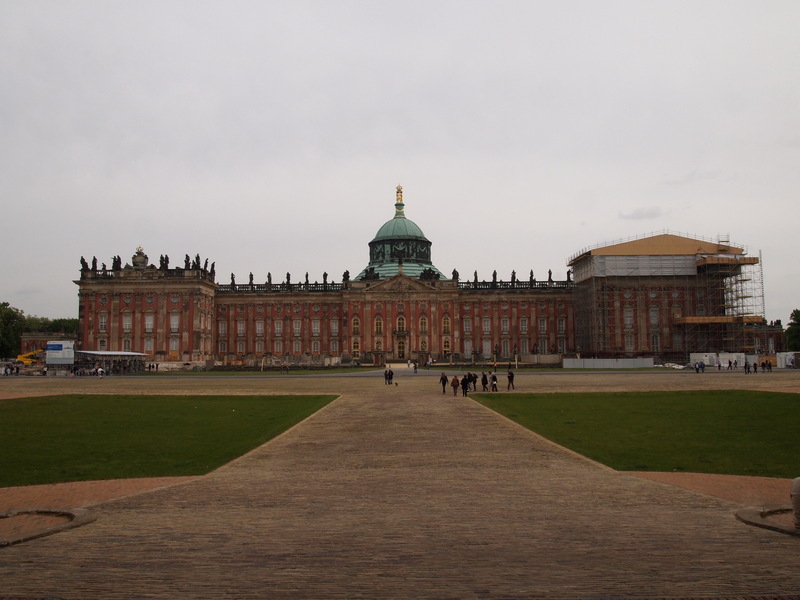 In contrast, the New Palace built in the 1760’s illustrates a much more traditional Baroque style and is far more grand in size than Sanssouci. Left to decay and currently in use for tourist visits and by the University of Potsdam, the exterior looks more like a painting of the actual building laid on top of the building itself. Ornate, with unusual gargoyles and statues, the palace is currently closed for a complete internal renovation. Grand in size, the New Palace is far more simplistic and the unkempt façade is both distracting and unfortunate. 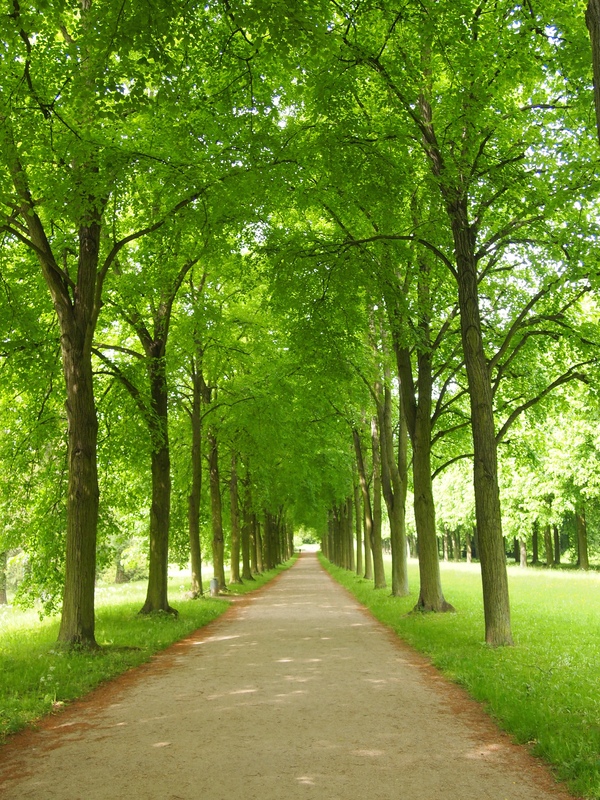 Since the official UNESCO title in 1990, the parkland has seen millions of eager tourists visit year after year. Tour groups run around the clock all year round but Potsdam and the complex are easily accessible without the catch of a tourist bus. 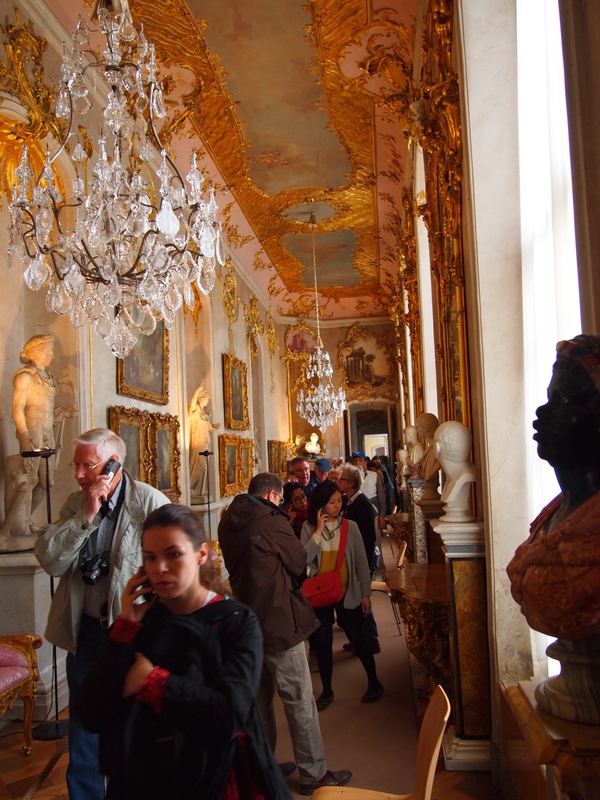 Visiting is not cheap, with an all access pass costing €21 and access to just Sanssouci for €12. Arrive early or book online to secure a timeslot, as visitors are allocated a specific entry time into the palace. Mandatory (and soul destroying) audio tours of the Palace allow you a precious 45 minutes with 100 other visitors to walk through the palace on strict red carpet. You must pay to take photos and tours run five minutes apart so prepare to be assertive. The gardens and exterior of the complex is completely free. 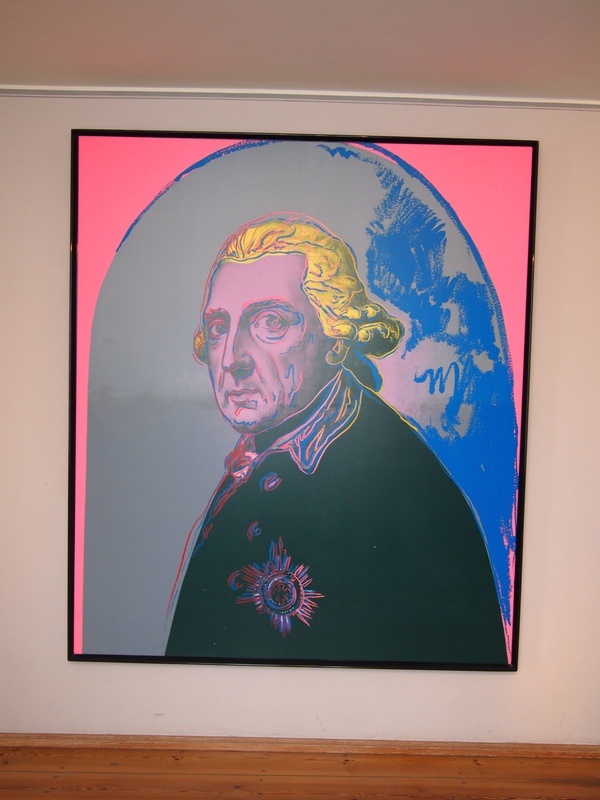 The icing on the cake has to be the cherished Warhol shoved in the ‘servants quarters’ at the very end of the tour – a trademark piece of the 1781 portrait of Fredrick, doused in pink paint is perhaps more telling a portrait than Anton Graff’s original depiction. With barely a mention on the audio tour, one can only draw their own Warholian conclusions to the image. The scale, much larger than Graff’s, illustrates the sadness in Frederick’s eyes and is a fitting end to an unusual visit back into the 1800’s.